Sign up for one week or several! We are offering 4 separate week-long sessions of our popular Song & Dance program. Each session will be held Monday-Friday, from 10:30-12:30. Each week the children will learn to perform several songs ranging from musical classics to current (child friendly) pop hits. Hip-hop and Jazz dances too!! Each week culminates in a performance on Friday at 12 noon, to which available parents, babysitters, friends, and family are invited. Our students work on voice, varied dance styles and play acting games designed to build their confidence on stage and in life. Pirouette and Pretend , an introduction to ballet, offers an engaging balance of fun and structure, accompanied by our excellent pianists. 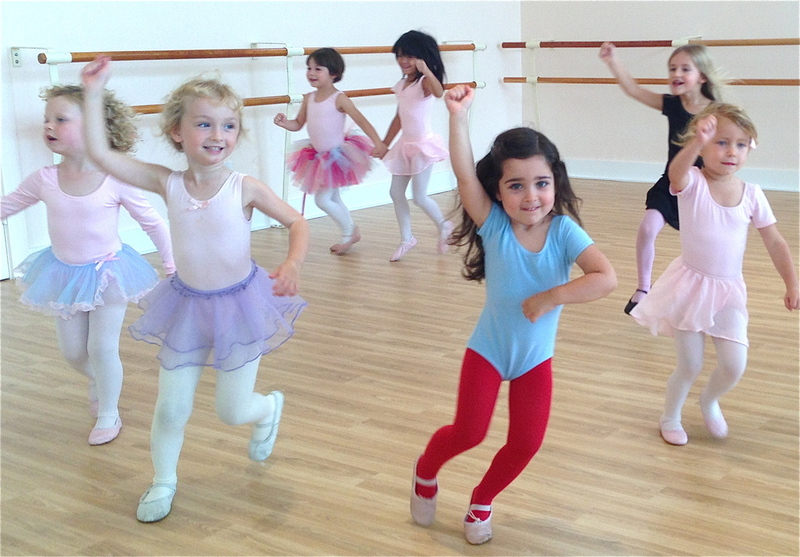 Your young dancer will delight in make-believe and dance games, based on the basics of ballet. Introduce your little one to the magic of dance and music! Share in your child’s joy; watching as she or he discovers the beauty of classical music and the enormous pleasure of dancing in our beautiful studio! Come celebrate summer at Miss Tilly’s Studio!